Grants are made possible with investment funds earned from endowments and donations. ​You can help us award more grants next year! ​Just click on the DONATIONS tab at the top of this page. 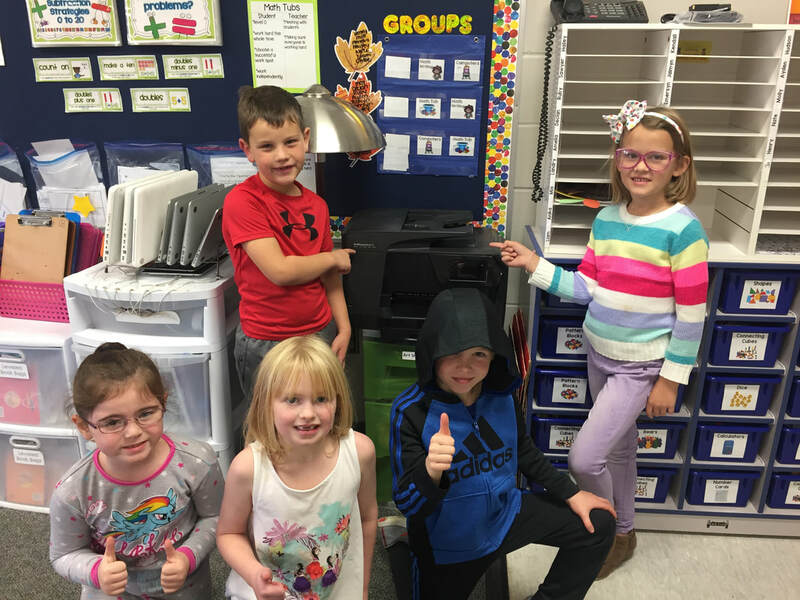 SEF funds have been instrumental in furnishing robots to provide our elementary students with the opportunity to learn the very important language of coding and robotics. This grant would allow for the purchase of 4 additional DASH robots, and a K-5 Learn to Code Curriculum Pack. This pack would include learning to code lesson plans, challenge projects, and access to a cross-curricular library of lesson plans. Students enjoy these sturdy, well designed robots. Having 4 additional robots would allow us to have smaller student to robot ratio, for optimum learning. My proposal is for the purchase of a ​digital microscope with an LCD touchscreen. It has the capability of being projected for all students to see. Currently many students struggle to find clear images of specimens under the microscope since it is many student's first chance to see plant and animal cells in great detail. Students will be able to compare their results with the screen. This will also be a great support for future science students with visual impairments. This is a collaborative project with high school students enrolled in Botany class and community members. It has been a very successful and rewarding project in previous years. Students read a common text, relevant to their studies, and pull themes that guide their research and discussion in class. This guidance is also used during the community discussion, in which students lead. The project is well received and attended by community members. The requested funds would purchase multiple copies, preferably in paperback format to better use requested funding, of Lab Girl by Hope Jahren. This will allow community book club members and the high school students to read simultaneously. This project will be completed in the spring during the Botany course. We hope to use this text as a teaching tool each time the class is taught. The 2017/2018 school year will be the first to offer a Career Tech Education course in our new Solon Center for the Arts Set Shop. Introduction to Woods will provide for students a chance to learn about working in the building trades, specifically construction and woodworking. Personal and group projects will be completed by the class, along with training in shop safety, proper tool usage, and making sound decisions throughout the design and implementation process. This year's group project will be constructing work tables for the Set Shop, and individual projects can range from step stools to picture frames to picnic tables. 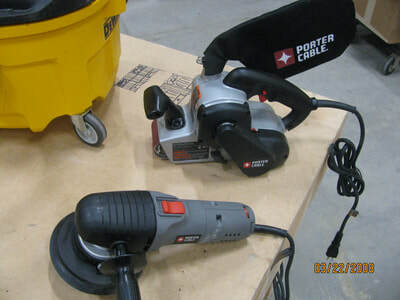 One of the basic steps in finishing woodworking projects is the sanding process. 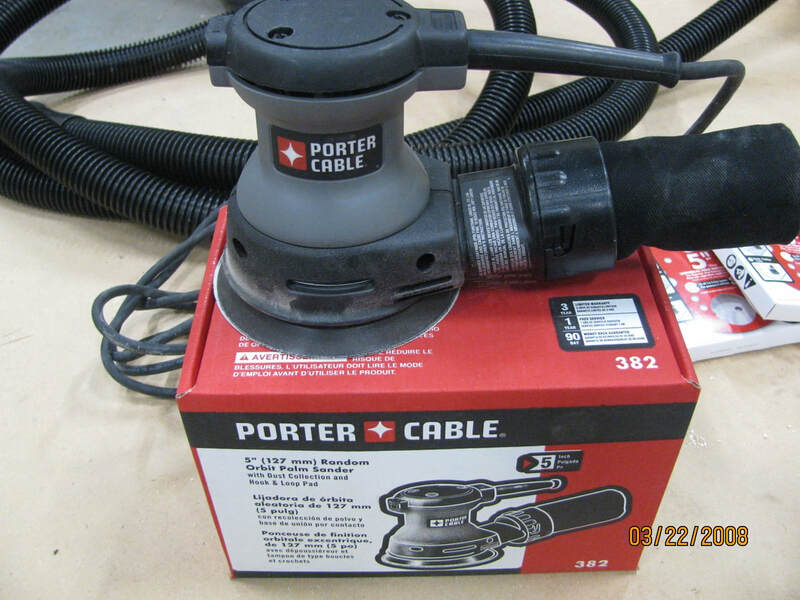 Currently our shop does not have sanding equipment, nor a method of safely collecting dust from our sanders and shop tools. That is the need this grant request is aimed at filling. 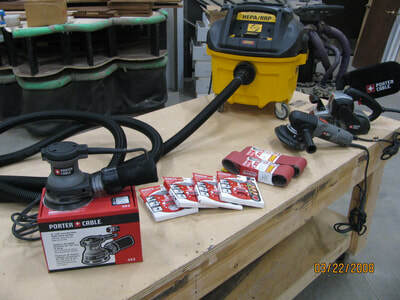 Grant funds can be supplemented with Career Tech department funds, as well as already donated funds which we have received from parents and community members to put towards outfitting our shop. In addition to the Intro to Wood course, our Set Shop will be used in the creating of all the scenery for our Drama Department productions. This means a large number of students (as well as parents and community members, during our weekend builds) will have access to and be learning with our shop equipment. Other teacher-requested projects are also completed in our shop, such as Band percussion cabinets, Marching Band carts, and simple repairs to classroom and department items. Our projects in the Set Shop will be varied and ongoing. I, as the instructor, tech director, and shop manager, will be overseeing most of the work that is completed in the space. In my English 12 classroom, students read and write frequently. They work collaboratively throughout the semester. I would like to offer them a chance to choose between the traditional seating offered in the classroom and flexible, non-traditional seating. Students often use the floor to work and these additional seats will allow them to work more comfortably. Recent studies show that flexible seating increases engagement and motivation. My writing and reading lessons can be fun and efficient with all the tools I need right at hand! This mobile center features sliding tubs with safety stops; an enhanced magnetic dry erase surface on the front that also supports long chart paper; a foot-activated braking system, and snap-on chart paper hooks. This will help my organization and preparedness immensely. It is very organized and the storage bins provide instant access to materials during a lesson. I use my easel for every curricular area. It is very organized and the storage bins provide instant access to materials during a lesson. I will use this easel for every curricular area. 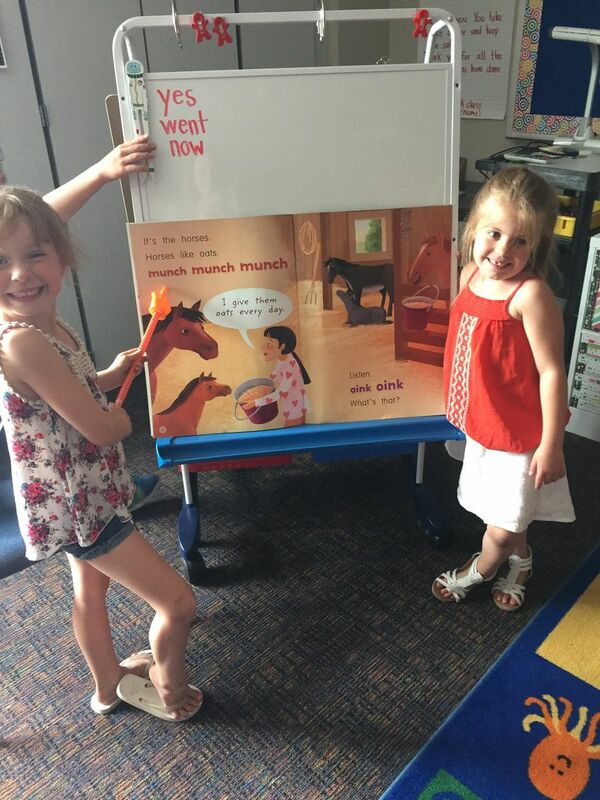 - The big books used during literacy will be able to be seen by all children as we work on Concepts of Print, Fluency, and Phonological Awareness -The magnetic board will be beneficial for word work lessons with magnetic letters/pictures/word families, etc. -The front provides support for long chart paper which I along with my students use to create the components of a story during Lucy Calkins Units of Study Writing lessons. -Since the easel is dry erase, the students and I are able to create authentic math stories to problem solve together using magnetic manipulative and dry erase markers The students are engaged and excited to use a large easel to share their learning! This reading/writing center is a key component in all areas of learning. I LOVE the easel purchased for Begindergarten through SEF funds!!! My old easel was over 20 years old and could no longer hold paper/books or be used for Expo markers. Each year I had to make a decision of purchasing classroom supplies/books with my allotted classroom funds or having one large purchase of the easel due to the expense. An email about the SEF organization gave me the idea to apply to ask for funds for a new easel. This easel has been an amazing tool to use for the new literacy purchases in our district. 1st grade team does a lot of color printing for anchor charts (writing, reading, and math), color coded math activities, color coded/sorted word work activities, reading comprehension skill supplemental activities, behavior intervention system materials (non-verbal cue cards, social stories, etc.) and other classroom resources. At this grade level, students are no always able to read directions/activities easily and color coding items helps to assist in the learning process. With the limited number of color printing allowed per teacher at our school, we have found the solution to our need for more color copies. We would like to share (as a team) a subscription to monthly ink (300 pgs./mo. with rollover allowed) and a compatible printer. This will decrease the number of copies sent to the office printer. Teresa Burg and I teach fifth grade ELA. We are huge proponents of students having book choice at 'just right book' levels. For this reason, we really want to expand our classroom libraries with high-interest books of all genres and levels, and hopefully more than one copy of several titles so the kids can read books with partners and discuss what they are learning. We currently have students who are longing for multiple copies of books to form "book clubs" with their friends. What a great way to promote excitement about literature. Along with this, we are planning to implement a book challenge in which students are challenged to read a set number of books in all different genres. We utilize our MS library every day, but want to have lots of options right at our finger tips. We also know that next year 5th grade will be heading to Solon Intermediate, and want the book choices to continue to be plentiful. The following kits/probes will be available for students to use for their science fair projects. Right now Science Inquiry is a required class that all students will take before they graduate. Each student is responsible for designing and conducting their own science fair project. The more equipment and variety of equipment we have helps each student have the opportunity to conduct an experiment that is at high school level and they are interested in learning about. These kits and probes will be continued to use in Science Inquiry from year to year. Other science teachers may be interested in using these kits as there are several ways to incorporate each of these materials into NGSS activities and assessments. The first would be an electricity kit. Every year I have students interested in relating their project to electricity, but we do not have the equipment. This kit will allow them to build circuits, motors, transistors, and much more. A probe that will also be used in science inquiry, and has been used in physics in the past, is a new force plate probe. I have students use this probe for all sorts of experiments in science inquiry. Force plates help students measure the amount of force that is applied to certain circumstances. 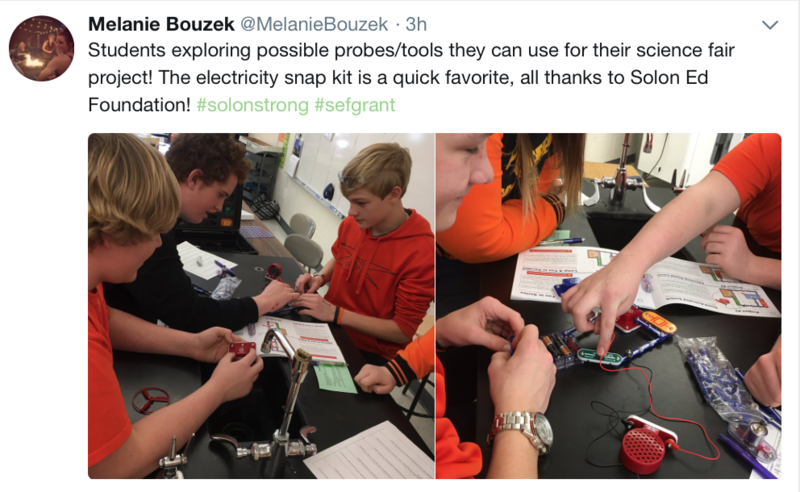 Solon Media Services is in the beginning phase of creating a makerspace in each media center in the district. The proposed project will provide resources for the makerspace at Lakeview Elementary. The items selected are geared towards lower elementary grades, as the lower grades will remain in this building in coming years. A makerspace is a place where users can create, design, problem solve, as well as build upon other STEM related concepts. Its intended users will include all teachers, staff, students to visit and use throughout the school day. The goal of this proposed makerspace is to provide tools and resources to aid in fostering inquiry and STEM driven learning. Aligning with SEF’s mission, the makerspace will expand student learning in STEM and 21st Century Skills. 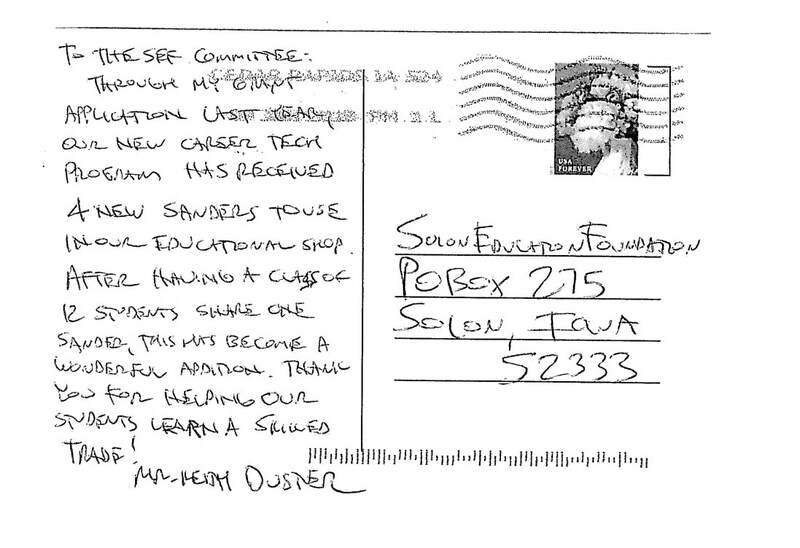 We would like to provide our 17 Learning Center students with opportunities for repeated practice of their learning. Our students often need more time and more practice to learn and maintain skills. We are asking for subscriptions to two apps for the iPads that would allow our students to be motivated, engaged, and yet still provide that all important repeated practice. We are also asking for some apps that are a one-time cost. These apps help with our students’ visual schedules, help reduce anxiety, and are specially designed for students with autism and other special needs. The two subscription apps are ToDo Math and KidsAcademy. The ToDo Math has games and missions for students. The app also gives teachers access to student progress and educator resources. The KidsAcademy app has reading, writing, sorting, and math games. It provides the lowest levels for our students who need simple repetition of the earliest skills. I am hoping the SEF will fund the purchase of Microsoft Powerpoint for my teacher computer. Through the school district funds, only Microsoft 2008 programs are available because of the large use of google toolbox apps instead of Microsoft applications. Because of the use of these programs provided from Google, they are hoping to phase out Microsoft Office. I have already purchased, with my classroom and PTO funds, a few computer activities to be used alongside of our literacy and math curriculum. These activities can be used whole group, small group, and as individual practice. They will benefit students through high interest and offers engaging additions to our curriculum. Microsoft Powerpoint 2010 or newer is the only way for these activities to work. I have already tried converting these activities to be used through other programs, but it is not possible. When purchased, Microsoft Powerpoint is downloadable to my teacher computer and will allow me and the students to utilize these engaging activities right away through my computer, projector, and mimio. I am writing this grant for technology to assist with my instruction and thus benefit students. 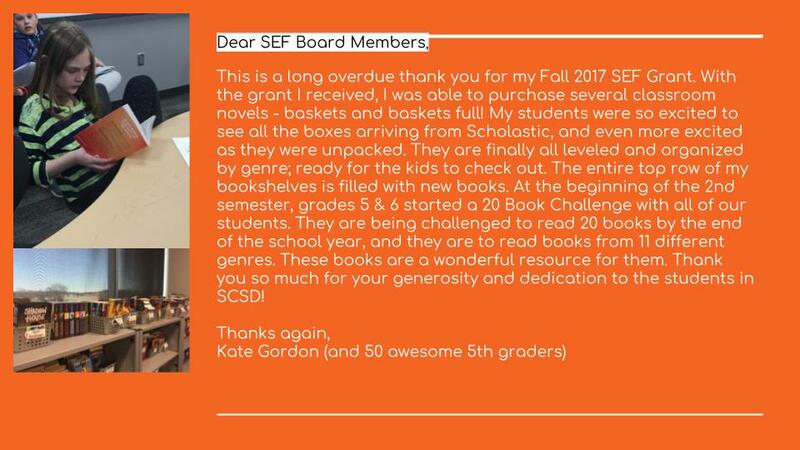 Last year my colleague, Janelle Kerkove, wrote a SEF grant for some of the technology. It is that technology that I am requesting funds for. I was able to see first hand how that piece of technology was used to make an impact with students. Originally, the ipad was meant to assist with a small population of students with some special needs. I soon realized how the ipad can assist with instruction and reach all student in my classroom. Janelle has been gracious to share with me. I am hopeful that I may receive my desired grant to continue to mirror things for all students in my classroom. The ability to draw various math problems on the ipad with the pen and have them project for all students in my class has worked well. Through this possibly funding, I would be able to do various types of problems daily. This technology allows for educational opportunities for my students to be actively engaged in my lessons. Also, a case with a handle allows me to walk around the room while using the pen to draw and share things with the students and they are able to see my drawings reflected on the board. I am requesting an ipad pro and case with a handle to keep it safe and walk around with while instructing.